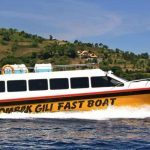 Lombok Tours – Gili or small islands scattered around the island of lombok give a thick tropical feel if you want to adventure here, with us ded’y adventure we will accompany you to explore the famous and beautiful gili-gili on the island lombok Tours. Gili Trawangan is the largest island of the three small islands located in the northwest of Lombok. Terawangan is also the only gili that altitude above sea level. With a length of 3 km and width of 2 km, Trawangan populated about 800 people. In Gili Trawangan, there is no motor vehicle, because it is not permitted by local rules. The usual means of transportation is a bicycle you can find many rental bikes there. To travel to there, residents or tourists usually use motorized boats and speedboats. Located next to the Gili terawangan which is part of a cluster of 3 gili located in the area of ​​North Lombok. Here is a favorite snorkeling place of the visitors both from local and tourist. And this gili is still relatively quiet visitors compared with gili terawangan. Gili Meno is one of three adjacent small islands, besides Gili Trawangan and Gili Air. This place can be reached from Mataram City about 45 minutes drive by road through Senggigi Beach with stunning coastline and protected forest. Here the place of bird park that has a collection of rare birds from Indonesia and abroad. Pasirpantai in Dili Meno is white and still natural. The difference, in Gili Meno there is a motor vehicle. But very limited, so does the electricity. Gili Kedis is located not far from Gili Nanggu in West Lombok, West Nusa Tenggara. To get to this island, it only takes about half an hour from Lembar Port, Lombok. The color of the water is very clear as crystals really spoil our eyes. Large rocks located near the island also add to the uniqueness and beauty of this mini island. It really will not make you regret come this far! Gili Kondo own original name is Gili Bagik. However, the manager, changed his name to Gili Kondo. The original Gili Kondo is smaller than the present one. Gili Kondo is manage by around 3-5 people. For those who want to stay do not worry, because there are cottage facilities made of wood is very exotic. Water supply is sufficient here. on the beach there are some places rinse made of woven bamboo with a shower in it. There are also foods sold by the local people. If you want to rent a snorkeling equipment, then simply spend the money of 25 thousand rupiah (the price can rise at any time) for the lease a day. 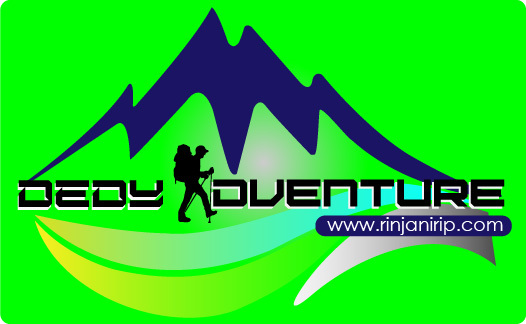 Dedy Adventure is your best partner to Make a Trip in Rinjani Mountain Lombok - Indonesia.